Getting the most out of your towels is important, you want to ensure they last and they are fit for the purpose they are for, but how do you know when you need to purge your towels and buy new? What should you look for and how should you be caring for them to ensure they last. Finally, I want to touch on the debate on how often you wash your towels. I know people differ and I will give my reasons for how often I wash them, please add your reason and frequency of washing below. However, better care of your towels will increase their life and save you money. While some part of me says that it is personal preference, I am not one for throwing something away just because I want something new. The old one has to have worn out enough before I even consider replacing it. At this point, I don’t even throw out the old towels, I use them for the dogs and I even have some for my daughter when she dyes her hair. So, while in some ways it is up to you how threadbare your towels get before you need new, it doesn’t mean at that point you should throw them out, perhaps you can repurpose them and reduce the amount of cleaning rags that you need to buy. For me, I have thought I need new towels for the last few months, but I just want to push them a bit further. The dog towels need cutting up and using as rags, they are pretty much at that point anyway! The bath sheets can then move jobs and so can all the other categories, there might even mean that a few of the old rags might finally end up thrown away! You can see the point when you need new when the edges start fraying, I really don’t have that many towels anyway, there are only 3 of us here most of the time so the amount of towels we have has considerably reduced since two of my children moved out. I have also changed the storage and there is less now, so that means fewer towels, too. I firmly believe that the better you look after something the longer they will last, this is why I highlight taking care of your towels and they will last longer saving you money. It is important that you get the right towels when you replace them, the colour will depend on what you are looking for; it is more about the towel quality, the better the quality the longer they last. Yes, I have had towels last 7 years and more. This is because I choose the best quality towels I can afford, knowing I won’t have to buy any new ones for several years. For me I have found that the small looped Egyptian cotton towels are best, you do need to look carefully at the labels and to choose the small looped ones. I have tried cheaper towels, they don’t dry as well and they don’t last as long. I have tried different store brands of Egyptian cotton towels and they are equal in quality if you have picked the better option. This is personal preference, I know people who wash the towels once a week, each family member has their own towel, which they hang up to air dry after each use and then wash them weekly. I am of the use once and wash policy, I really don’t want to use the same towel twice and then I can use the towel I have used to wipe down the bath and to make sure I wipe clean before I leave. The thought of using the same towel for a week just doesn’t appeal to me. Even the Good House Keeping magazine is against me, they even suggest that it is ‘excessive’ to wash them after each use. At least, there are some people out there that share my views on the need to wash after each use, Mams Laundry Talk points out a very good point with the argument for dead skin cells building up on the towels and exposes the towel to a potential breeding ground for mould and germs. I also change hand towels daily in both the kitchen and the bathroom because of the potential of germs growing due to the amount of use it actually gets from a variety of people. I am a bit excessive if we have workers in to do any jobs and they use a towel I change it before anyone uses it. If you can have the perfect towel for drying, for me it is line dried, I like the stiffness of the towel, where my husband’s choice would be direct from the tumble dryer, soft and fluffy. It is normal for people to like different options for what they consider the best towel for drying. It also depends on what you have available, if it is dry, they go outside and are line dried, however, if it is wet they go in the tumble dryer. If I can save money, I will! However, it is important that when you wash your towels that you never use fabric softener or tumble dryer sheets, this coats the material and makes them less absorbent. Personal preference for frequency, but I do think I have a point for washing after each use. Therefore, there are quick ways to purge your towels, keep a watch out for any damage, but think of another use, don’t just throw away, they can make great cleaning rags or dog towels too. 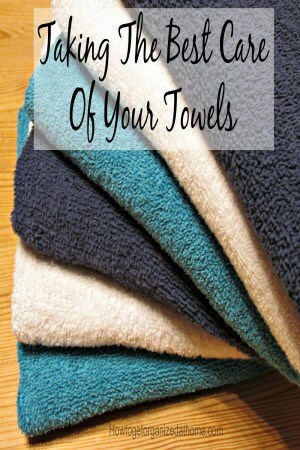 The better care of your towels you take the longer they will last and this saves you money too. I want to know your towel washing schedule and your reasons too! 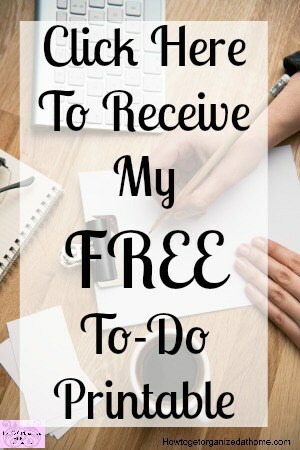 If you are looking for more articles on this topic head over to the landing page where you will find links to other posts on the home. What is your best tip for taking care of your towels? 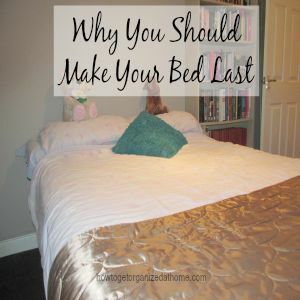 I wrote an article that I think you will enjoy, Why You Should Make Your Bed Last. I use mine 2 or 3 times before I wash. Because I’m lazy, and hey, I’m clean! I have thought about this and maybe I am to lazy to dry it and the easy option is to throw it in the washing machine!